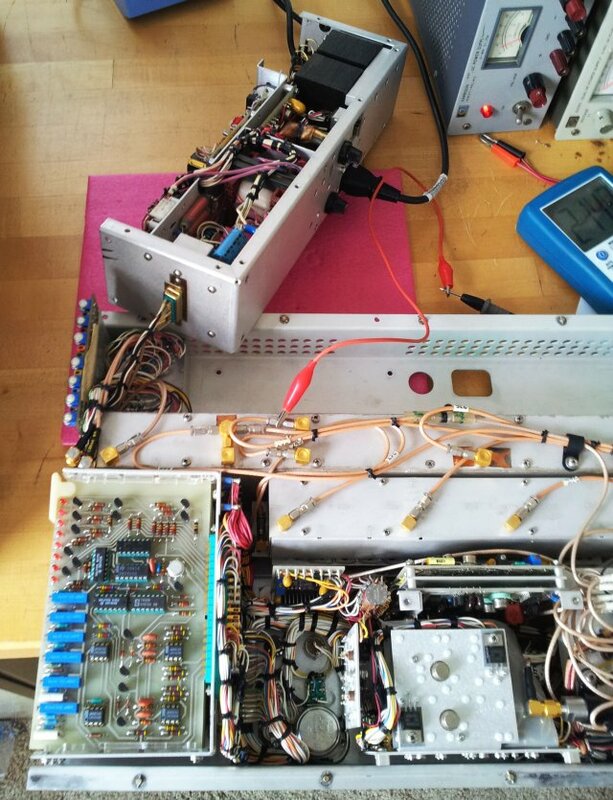 Some progress with the MSR-902C, which is basically working, but not on all bands – see earlier post. 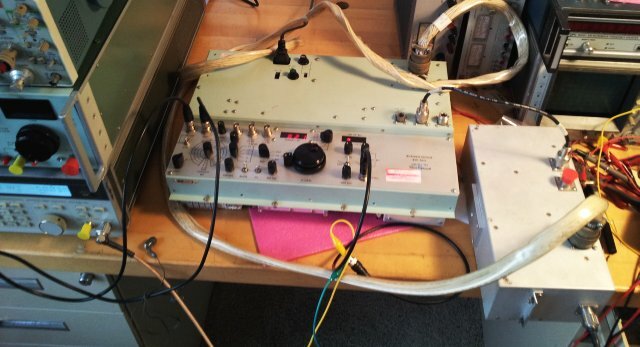 With no documentation on the MSR-902C available, except some data sheets, I first traced the band select signals – and they appear to be generated on the A3B5 board, which we may call, band control board. 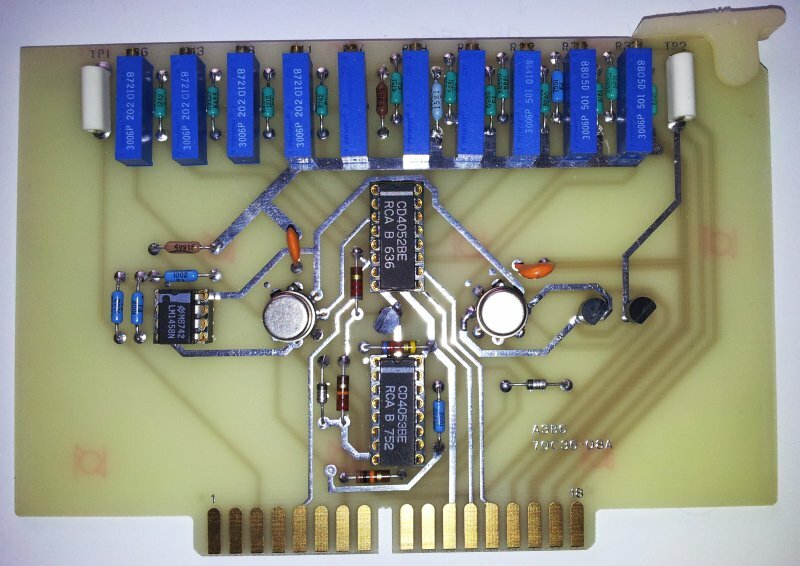 This board also converts the 0-4 V tuning voltage from the tune dial to a 0.5-9 V signal that corresponds to 1 to 18 GHz (0.5 V/GHz slope). This is a top view of the A3B5 assembly. 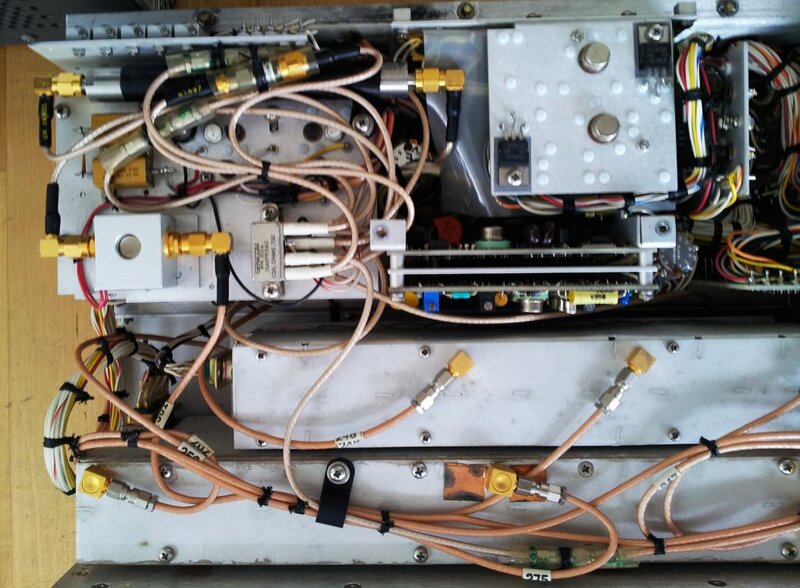 On the upper left, the tuning control voltage converter, left half, voltage comparators for the 1-18 GHz multi-band mode. 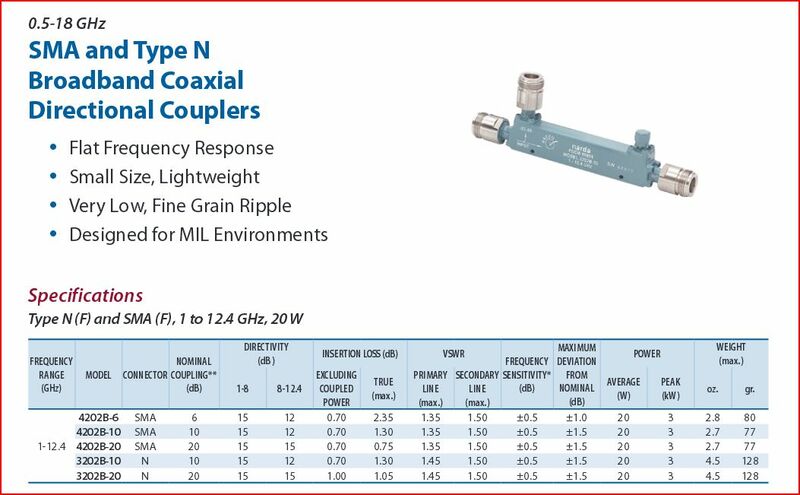 These comparators assign the band number to the tuning voltage, when the 1-18 GHz range is used. 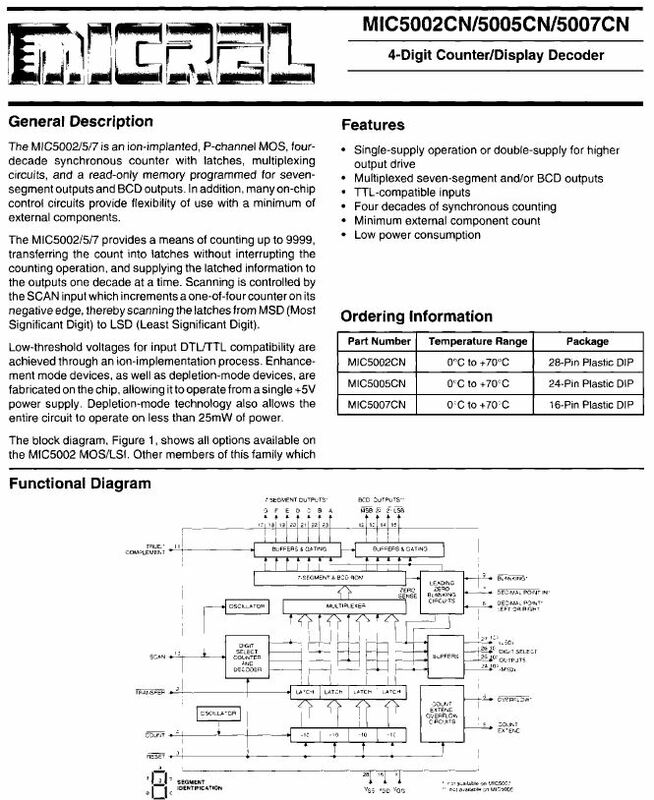 It is disabled (even supply voltage cut) when the MSR-902C is in single-band mode (selected by band selector switch). First observations – there are control LEDs that seem to indicate which band is currently active, but for some reason, they don’t light up on all bands. Very strange. 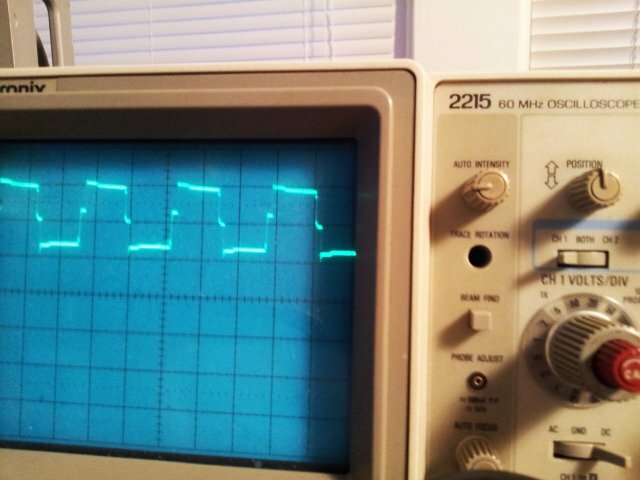 Probed around the logic signals, and at least some signals are there, still no LED lighting up. Very suspicious. After some head-scratching, decided to probe the LEDs by supplying some external power, and poking around with a resistor. 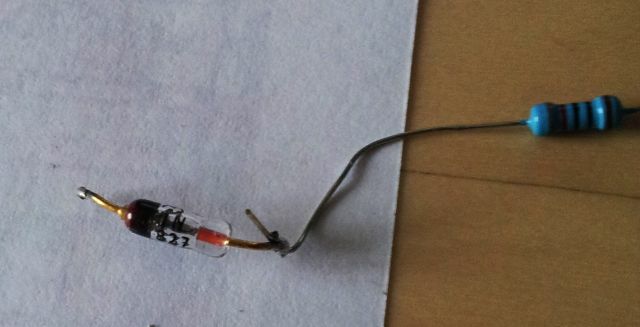 Turns out, some of the LEDs are dead. 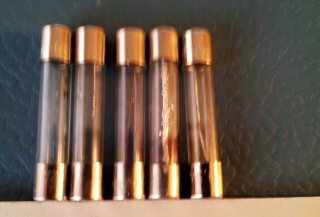 They just barely light up with 20 mA of current applied, and no sign of light at all at the current level supplied to them by the A3B5 assy. After repair of the defective leads, you can clearly see the difference of the new LED, vs. the old LED – some of the old ones are still working, but not very bright any more, and I’m going to replace them all, once I have this back in the main workshop with a better supply of 3 mm red LEDs. Another strange observation – two of the logic chips are rather hot. What is going on there? 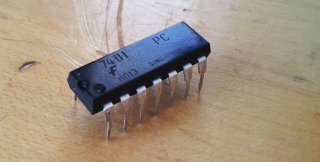 Furtunately, these are in sockets, a 7401, and a 7404, and a quick test revealed that one gate of each of these chips is sinking current, about 200 mA. So these need to be replaced. Mugshots of the culprits so far…. 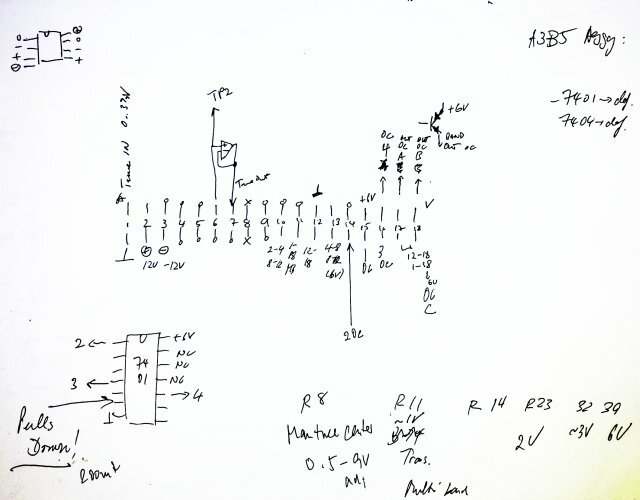 Not sure if it is very clear, but here are the connector signals of the A3B5 assy, and the description of the adjustment pots. 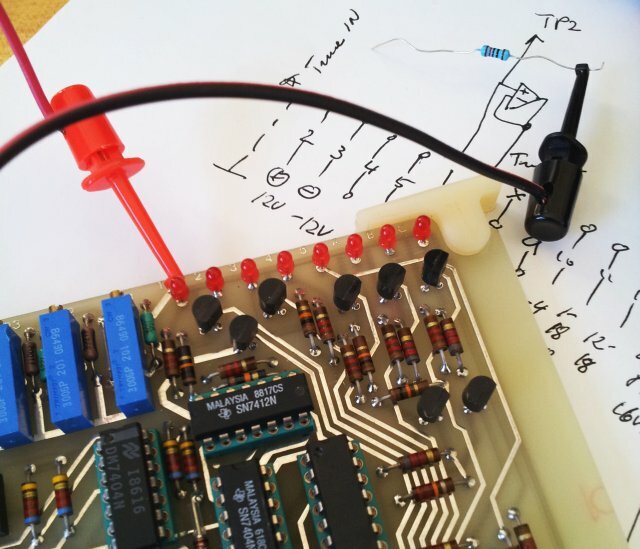 First adjust for appropriate tuning voltages, then adjust for proper band switching in multi-band mode, monitoring the LEDs. The next thing, the A3B6 assy. No apparent defect, but still needed to find out what it does, and how to adjust. 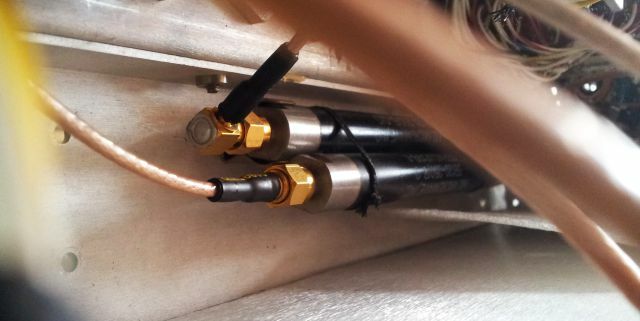 It appears to be the multi-band control assy, converting the 1-18 GHz full-range tuning voltages to tuning voltages for the individual bands, by applying offset and slope corrections. 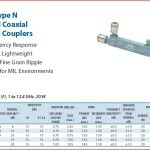 The offsets/slopes are selected by CMOS multiplexers as it is custom for most of the MSR series designs. 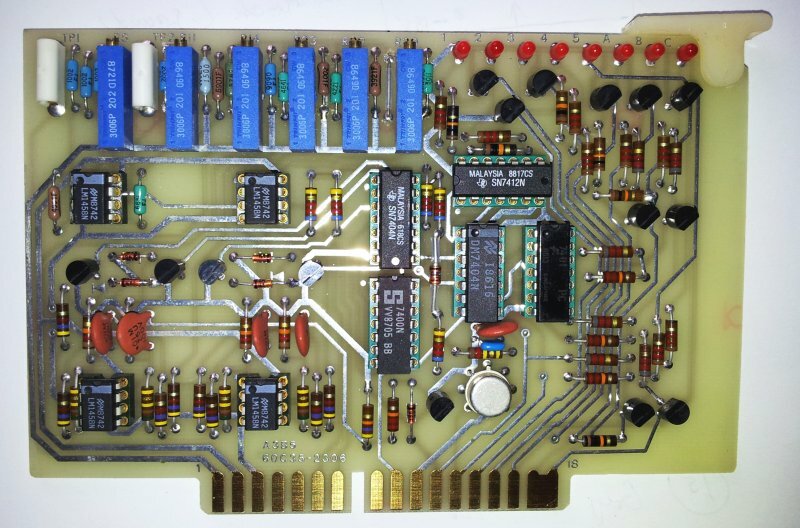 The output tuning voltage is buffered, and forwarded to the other circuits. 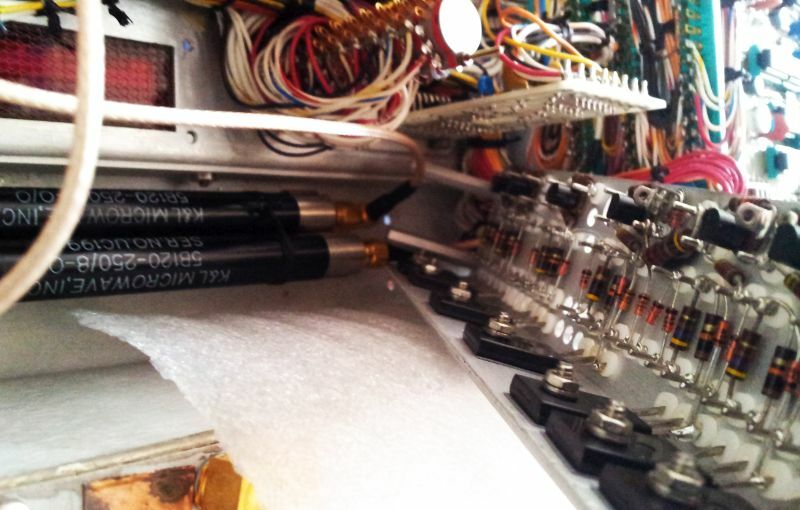 Here, you can clearly see the order of the adjustment potentiometers. 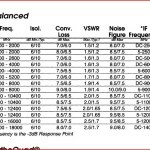 For adjustment, if may be best to first align A3B5, and then supply appropriate reference signals to the MSR-902C, or measure the LO frequency, and do the fine adjustment with the 1-18 GHz full range mode selected, and tuning through all the bands. The fine adjustments would need to be done both at the low end (for offset), and at the high end (for gain), for each band. No big deal, once you know which of the pots to turn. Further repair will have to wait a bit, until a few spare 7401 have been received. But all is looking pretty good. 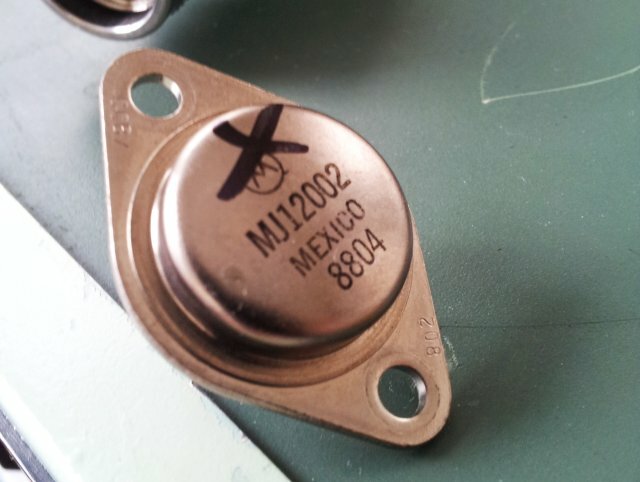 Today, a few spare MJ12002 transistors arrived. No time to lose, and put them into the power supply. 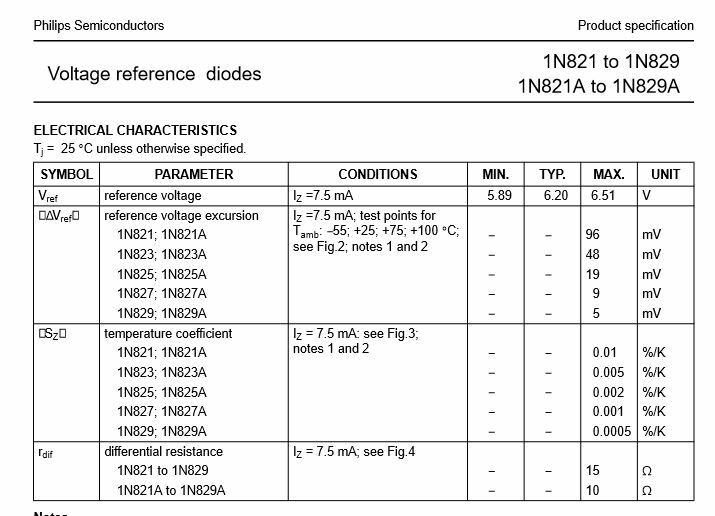 Note that the new transistors are 1983 data code, whereas the Micro-Tel originals were 1988… fixing the power supply with old parts, but no reason to assume that these transistors have any issues with age. With such power supplies, I would always suggest to use a pair of transistors of the same manufacturer, rather than mixing up two very different devices. This is why both transistors were replaced, not just the defective part. 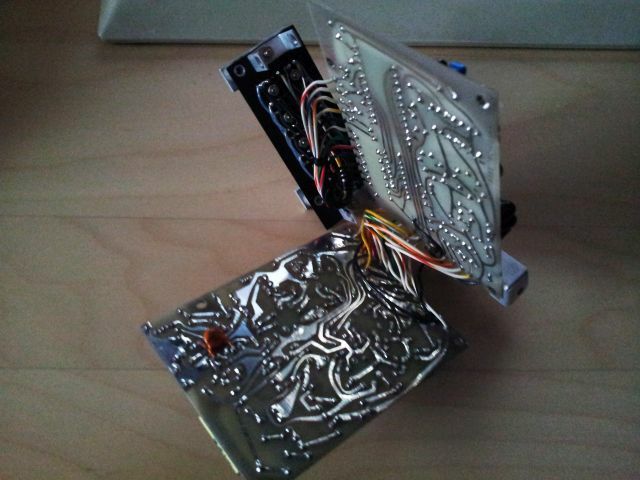 Another set of tests – no issues found, all working fine. 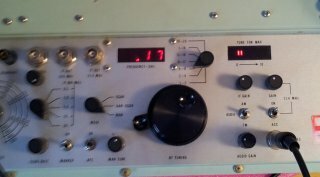 Something must be loading the power supply, and I can’t get any negative voltages out of it – but there must be at least one negative rail to provide -15 V to the various opamps in the receiver. 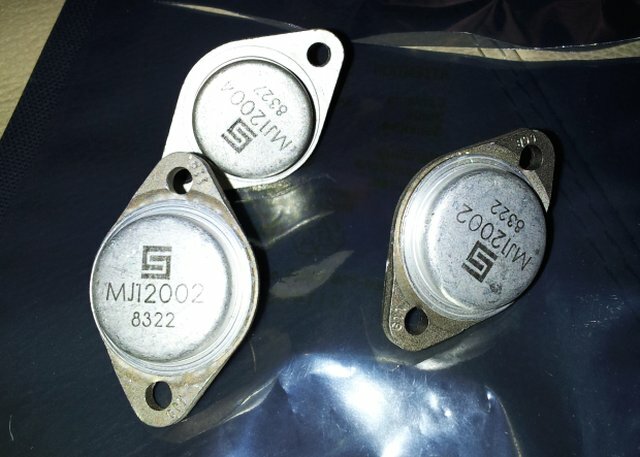 Not to long and the culprit was found – a shorted tantalum, a T310 series Kemet tantalum, directly at the – what turned out to be, -18 V output. Check out the date code. 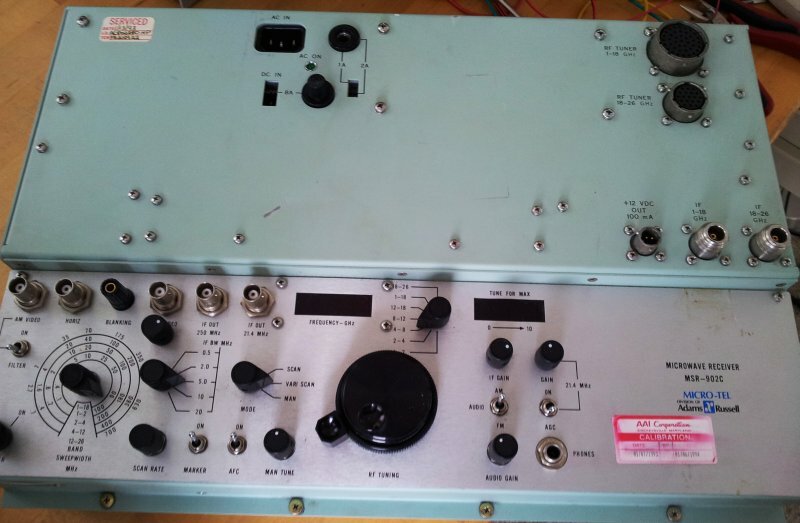 Why did Micro-Tel put a 1979, week 38 dated device, in such kind of expensive and specialized equipment (other parts suggest that this unit was made about 1989, at a price of about $40-50k – that’s about $70k in today’s dollars…). 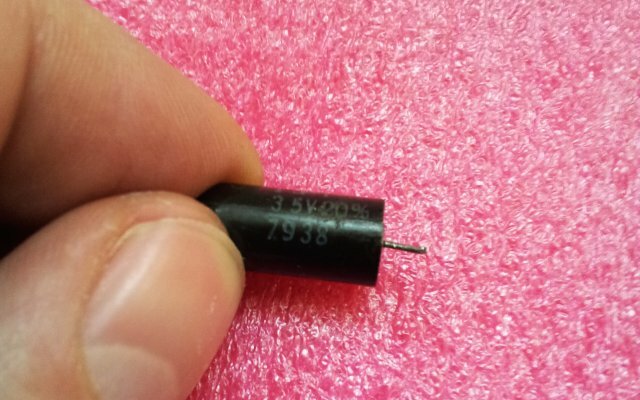 Some tests show that there is a +18 V, -18 V, and a +12 V output. 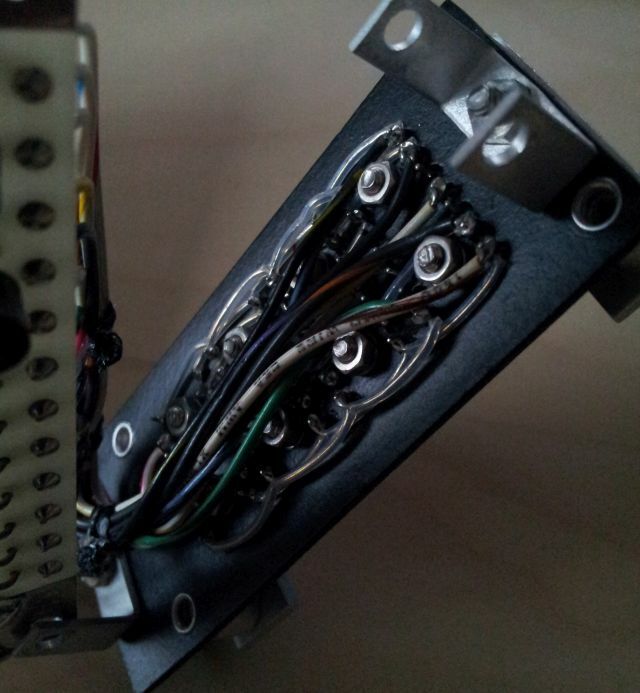 All are routed through feed-through capacitors. A fair bit of effort, and cost! 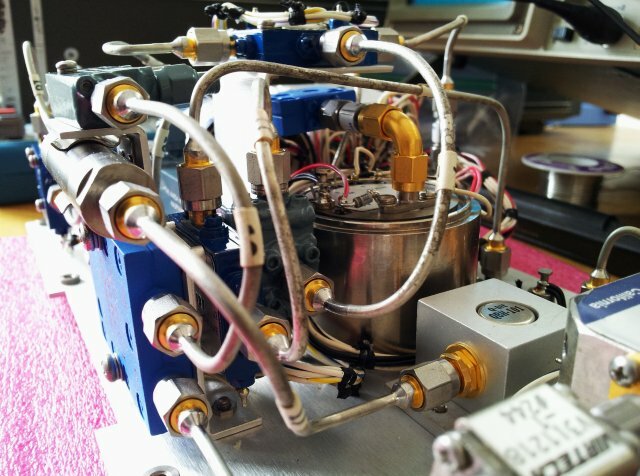 – connected the 1-18 GHz tuner – a bit of a cable mess. 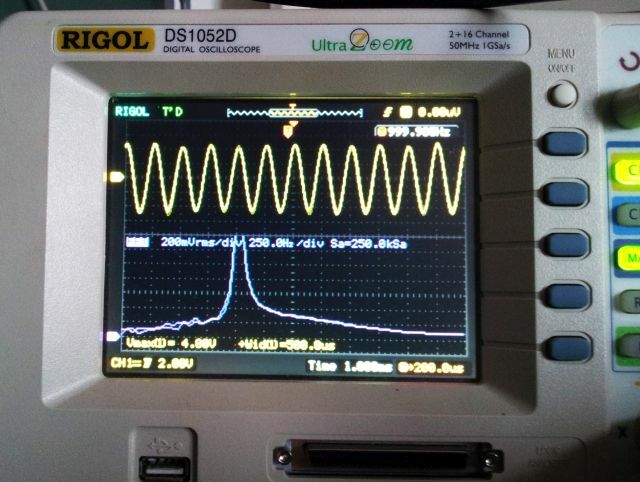 To test the basic functions, like, IF chain, detectors, etc, a 1.5 GHz test signal from a HP 8642B was routed to the tuner. And, to my greatest satisfaction, the MSR-902C is actually receiving! 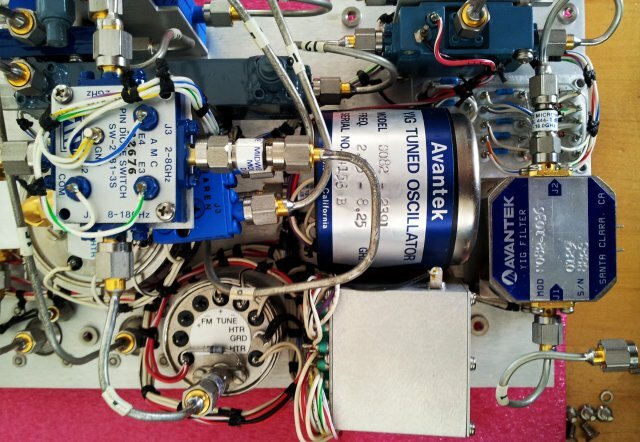 … also tested the FM and AM detectors, both in sweep and fixed modes, the AFC, the IF gain, the marker – all working. 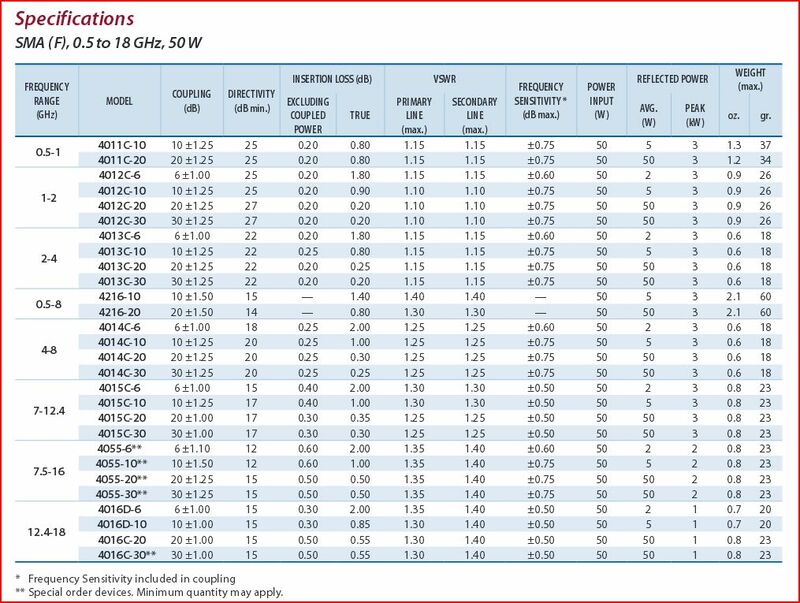 Also the 8-12 GHz, and 12-18 GHz ranges, working fine. 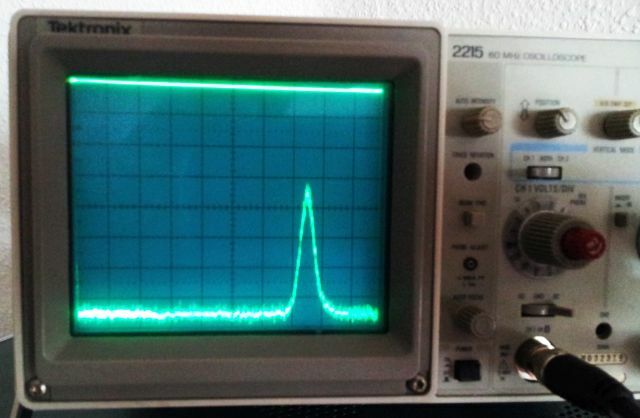 Clear signal down to -105 dBm input. So all working and pretty well tune. 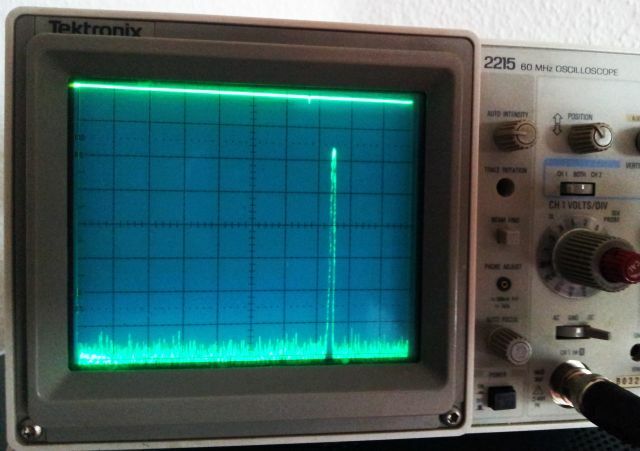 Unfortunatly, this is not the case for the 2 to 8 GHz ranges – the frequency display is not showing a reasonable value – not sure what is going on here. 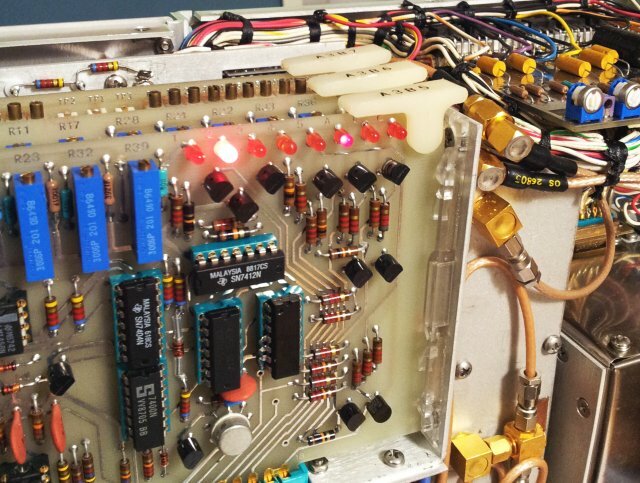 Maybe something with the band logic, or the signal multiplexers (see the MSR-904A repair story – these instruments are notorious for defective CMOS multiplexers). So far, so good – at least in some bands, we would receive satellites, or signals from other galaxies, given, there aren’t many strong sources out there, in space, and all the other solar systems, too far away! 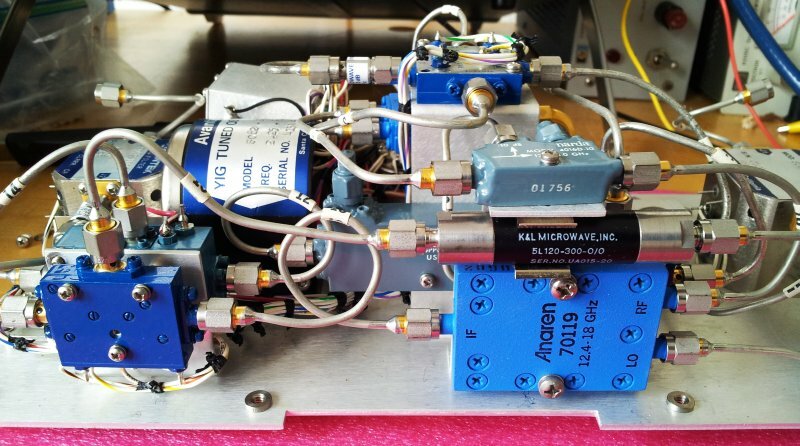 With no manuals available, some investigations were carried out to better understand the workings of the MSR-902C microwave tuner, which has a 1 to 18 GHz range, good noise figure, fully-fundamental mixing with 3-stage preselection over the full band. 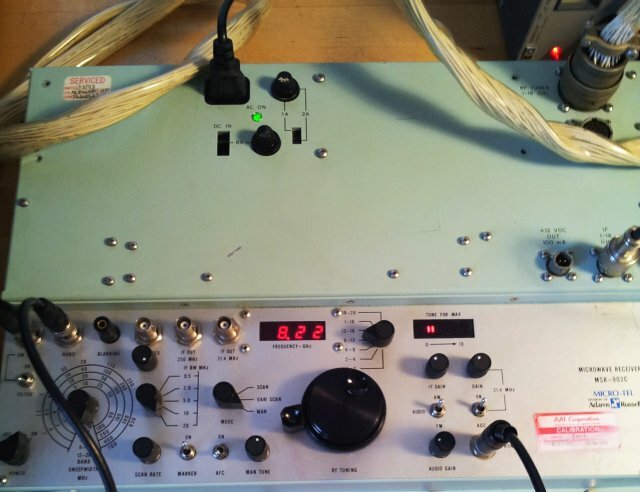 IF output is 250 MHz, so the tuner can be combined with any resonable SDR or other modern receiver, as a down-converter, offering about 40~60 MHz bandwidth, and 60 to 70 dB image rejection, and huge capacity to deal with out-of-band overload signals. 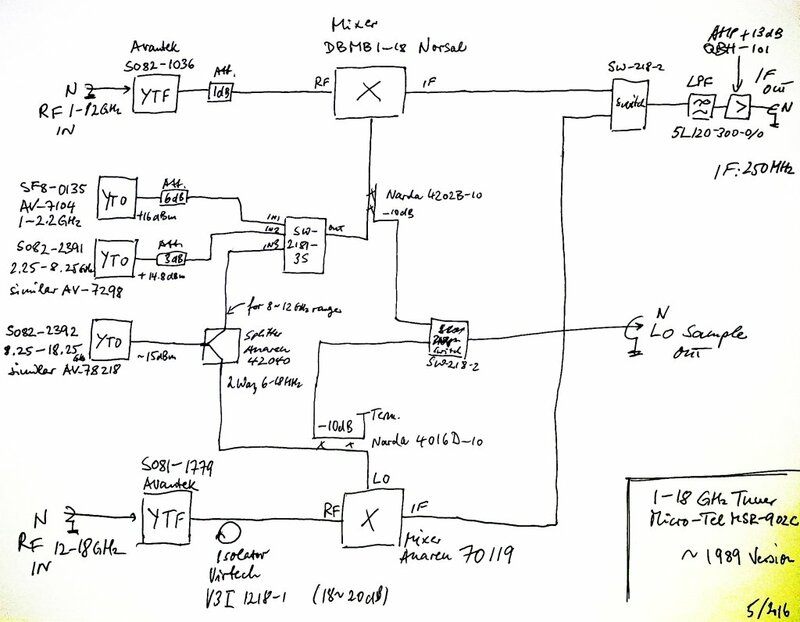 This is the rough scheme, leaving out all ordinary electronics in the case, just the microwave parts (note that there is another SMA attenuator in the feed line of the splitter, coming from the 8-18 GHz YTO, not shown in the sketch). Essentially, there are two inputs. 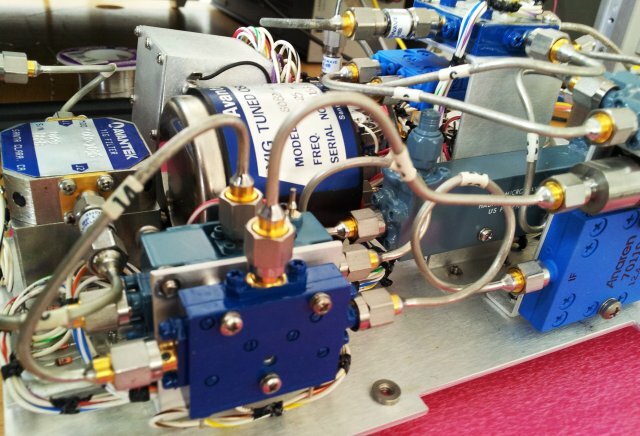 One covering 1 to 12 GHz, and another one, covering 12 to 18 GHz. 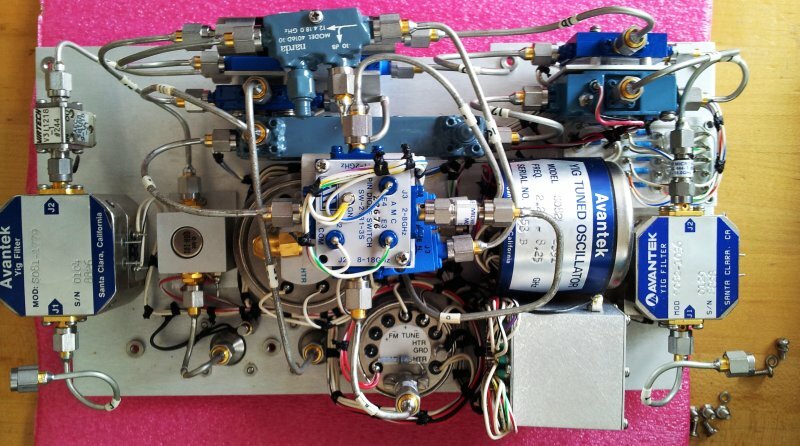 The 8 to 18 GHz YTO is used for both bands, and PIN switches are used throughout to route the signals. 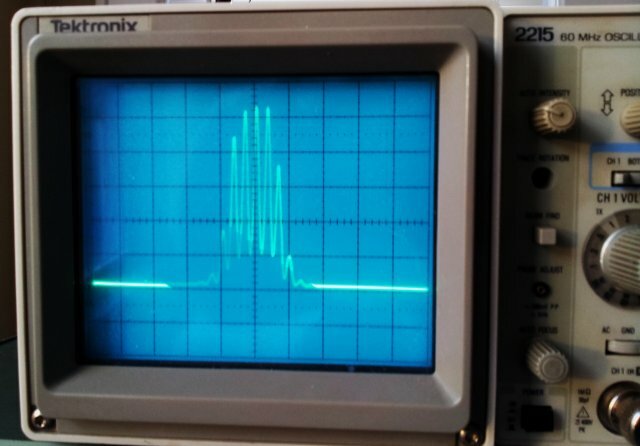 The IF goes through a 300 MHz low-pass and a +13 dB monolithic amplifier. 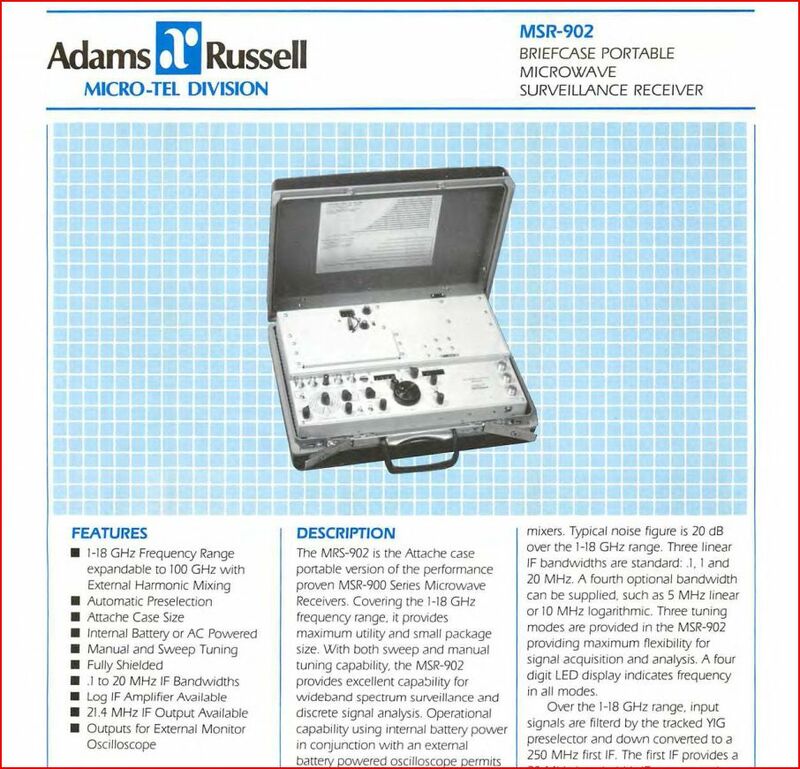 Note that there are some different/earlier versions of the MSR-902 and maybe also MSR-902C which use a slightly different configuration, with a LO doubler. 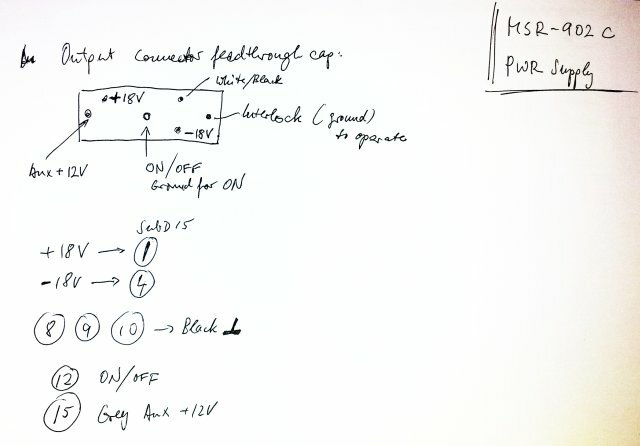 Maybe the could not get proper 8-18 GHz YTOs at the time, at any resonable cost, and had to resort to another topology (using a doubler) for this reason. However, I have never seen any of the earlier tuners, and can only report what I heared about them, with documentation on these units being almost completely absent. 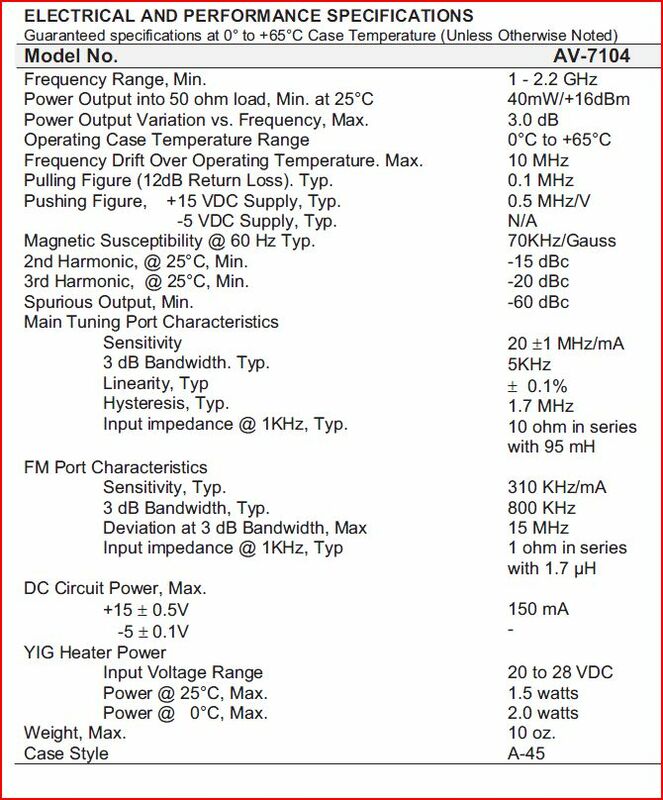 For some of the key devices, see references below. 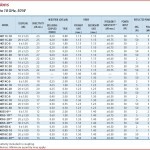 Glad not to show list prices, as these would quickly add up to USD 10 or 20k, for all these microwave parts. Not to mention that these are all US made, most advanced and highest grade components of their kind. Datecodes are from the late 80s, mostly 1988, but still today, there aren’t much other options around to build a tuner of this kind. 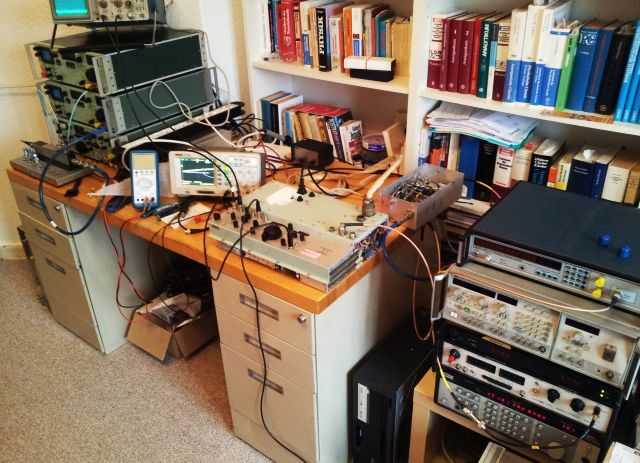 Maybe there just aren’t enough entities around that can afford such device nowadays, and software and digital signal processing certainly have contributed that todays devices can achieve perfect results even with less expensive, heavy, and energy-consuming parts. 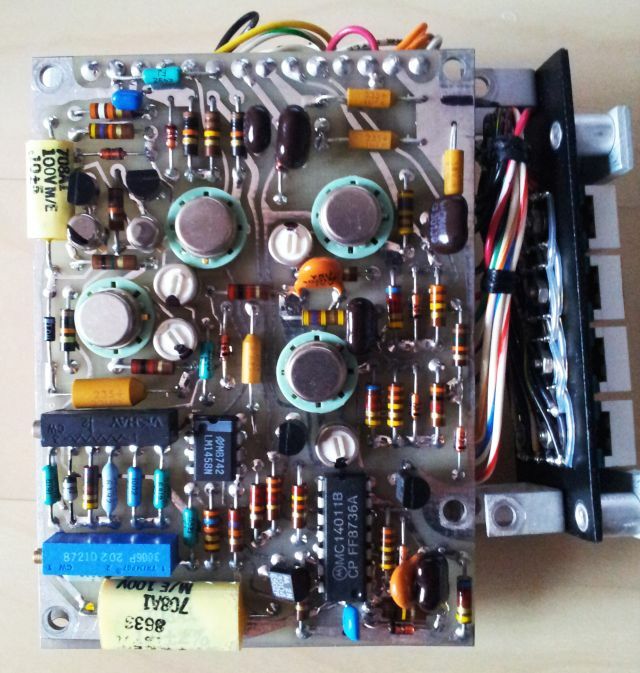 Still it is very instructive to study the design of this tuner. It even has a LO sample output, and with some effort, all the YTOs could be phase locked with relative ease (using GeSi dividers, etc). 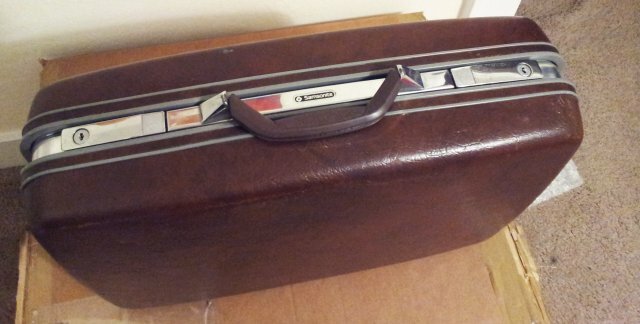 A few days a ago, a most intriguing briefcase arrived, brown color, looking like the late 70s… Samsonite. It is heavy! Really heavy!! 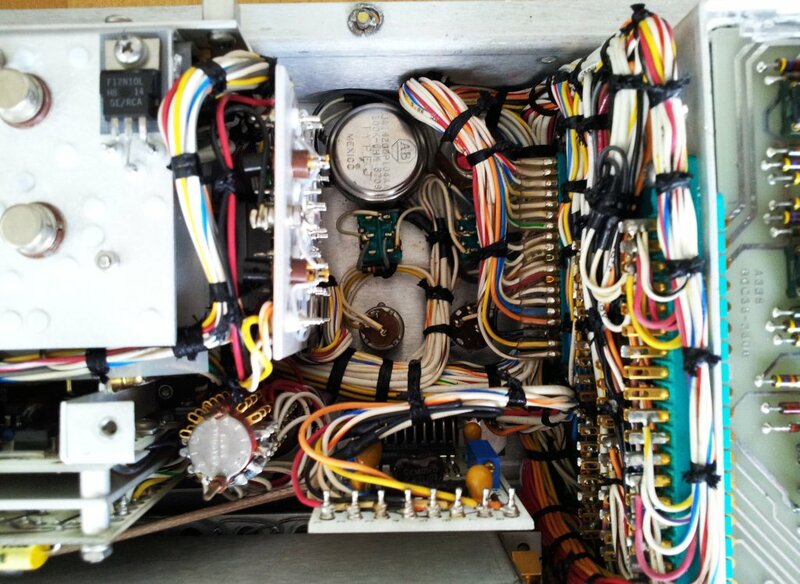 Inside – a fully equipped MSR-902C receiver, including all cables (which are rare, and extemely expensive to fabricate, because they use special military connectors). 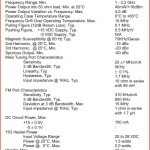 This receiver can more or less receive any signal, down to very low levels, and comes in 3 modules, the actual receiver, a 1-18 GHz tuner, and a 18-26 GHz tuner. 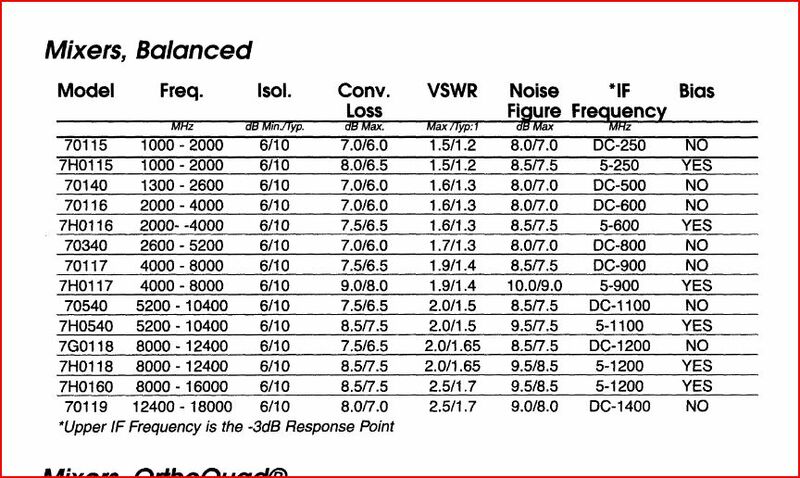 Other tuners and harmonic mixers were also available from Micro-Tel, but most likely, not many of these have ever been sold. 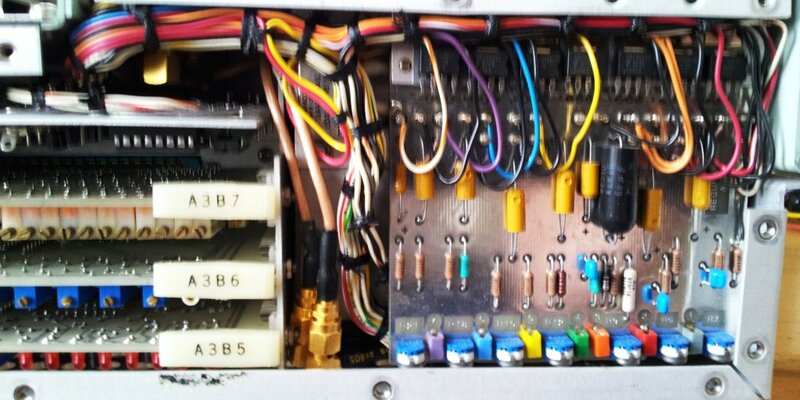 Inside of the main receiver (the tuners have not yet been touched), a most amazing combination of wires, switches, boards, and so on. All hand-soldered in Maryland, USA. It is a marvel of engineering, but, currently, not in working order. It blows the fuse, as soon as it is connected to mains power. 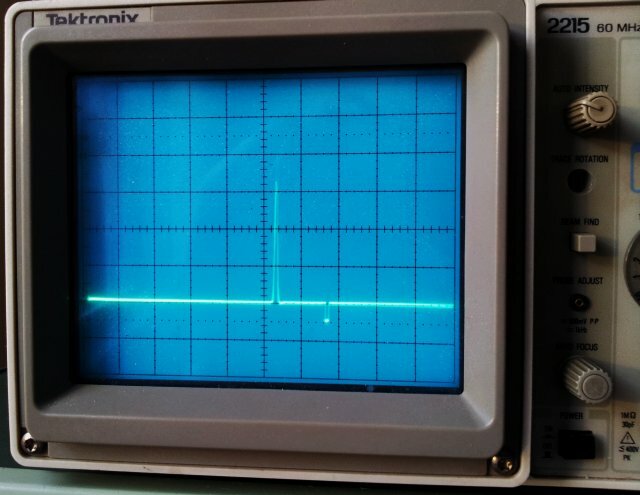 Something wrong with the power supply. After removing a cup full of screws, here it is. 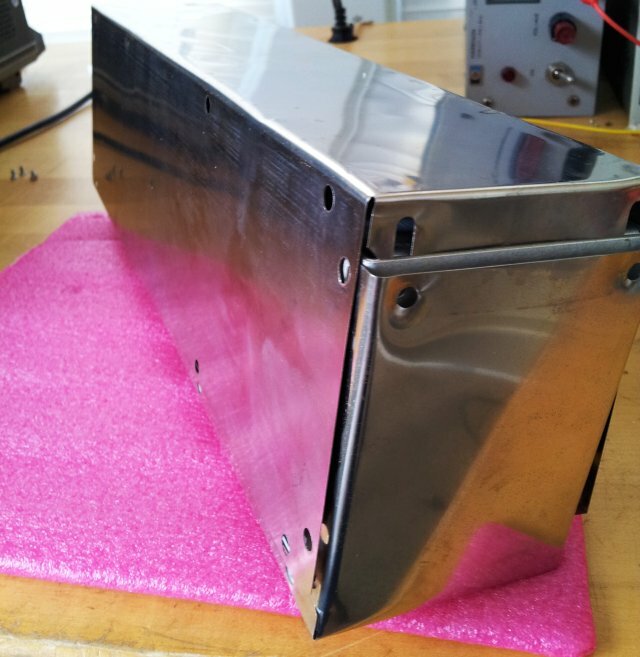 Strongly shielded by a thin magnetic shield, all nicely machined and assembled. Now all has to come apart for repair. 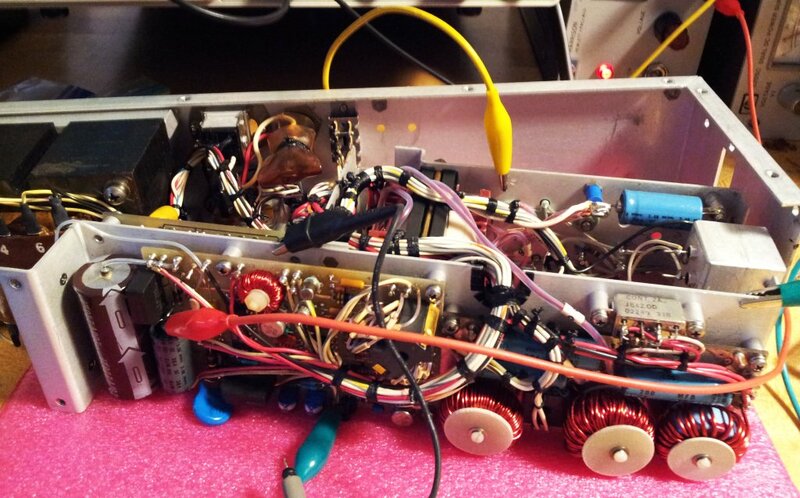 The internals of the power supply, a good number of boards and parts. 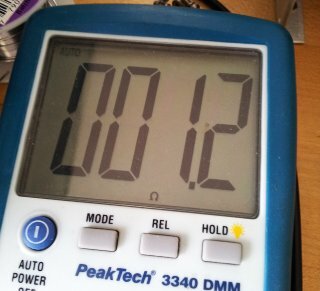 The power supply can either work from AC mains, or from 12 VDC. The 12 VDC section appears to be find. 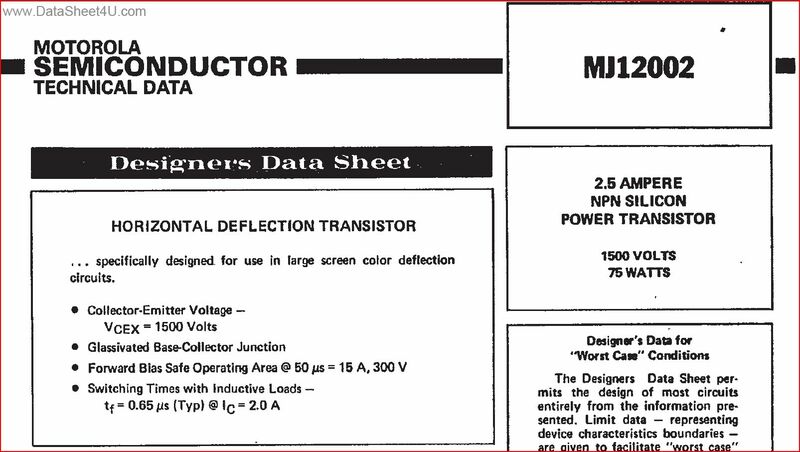 After some tests, found the first suspect item, a full short on one of the MJ12002 transistor that drive the primary of the switchmode power supply converter. It a quite old-fashined part, but could still find 3 pieces, USD 5 each. Not cheap, but OK.
Once the transistor had been removed, time for some checks of the drive circuit. 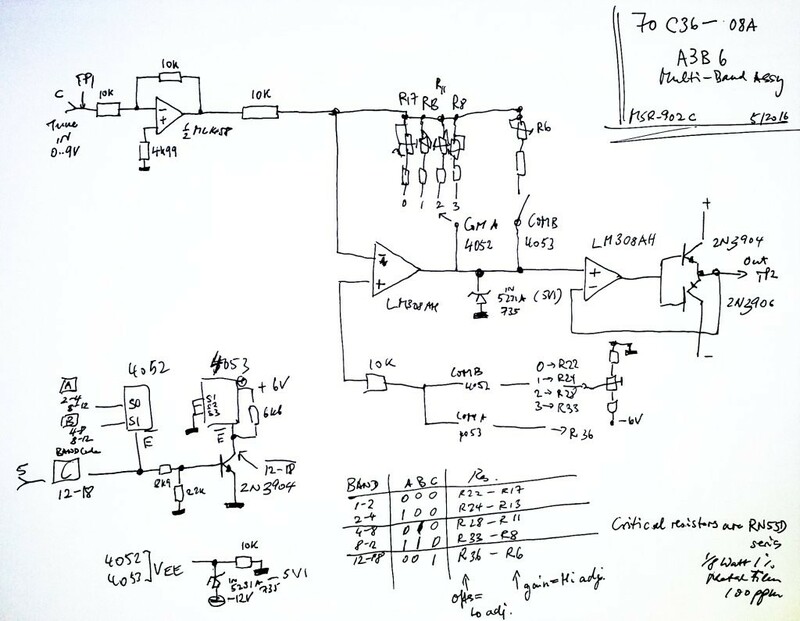 This circuit is based on an MC3420 switchmode controller. As you can see, the switch mode regulator is working, just no drive transistors around that could actually drive the transformer. But will be only a matter of days. 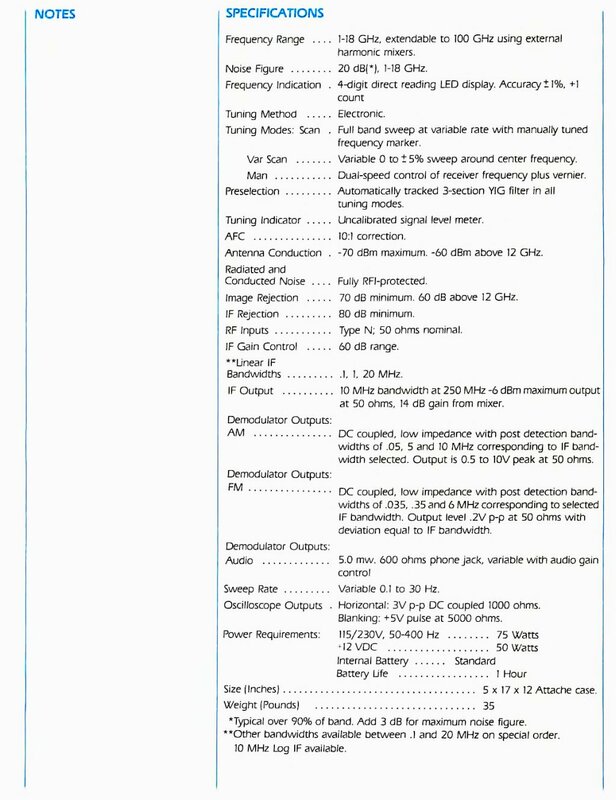 For those interested, here are the specifications (of the very closely related MSR-902).